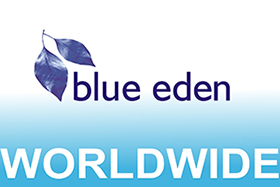 Blue eden offers you a complete current guide to the property market within Bulgaria. We specialize in providing you with the best knowledge within the Black sea coastal resorts. We discuss with you your requirements in depth afterwards taking you on a guided tour of the areas and properties that we discussed. Having decided as to where you wish to purchase we then offer the services of our lawyer who will be available to answer any questions you may have and guide you step by step through the legalities ensuring your purchase finalises smoothly. Part of our service is to remain in contact during the sale to ensure the handover of your property is concluded as per contract therefore giving you piece of mind that your purchase will meet all your expectations for the future. If one day you wish to sell your property then we want you to feel you can contact us to assist in finding you a new buyer. Should you want to receive a rental income from your purchase at any stage then we are at hand to discuss the formalities.